Let's say that Chester A. Maxwell decides that he hates America. He takes a flight from Massachusetts to Paris, renounces his citizenship and spends the rest of his life stomping up and down the beaches of France and screaming imprecations at Americans. Our friend Chester is not a self-hating American because he is no longer an American. He may have an American accent, like the same foods, books and movies that give him a common reference point with many of his old countymen and otherwise be mistaken for one of the gang. But he isn't. Even if he chooses to continue describing himself as an American, it's a meaningless self-description. 'American' is a group identity. Not an individual identity. You cannot be an American who does not want to be part of America or to associate with other Americans. Nor is Chester self-hating. Just because he hates America and Americans doesn't mean that he hates himself. He probably likes himself a good deal. People with poor self-images rarely reject group identities. Those who reject a group identity this vehemently tend to be extremely egotistical. Now suppose Chester Maxwell's real name is Howard F. Goldstein and he spends all his time screaming about Israel from Ann Arbor. When he speaks, his accent has more than a little Brooklyn in it, his bookshelves are lined with books by Jewish authors and he has a fondness for knishes. Accuse him of anti-Semitism and he exclaims that he's a Jew. But Howard is as Jewish as Chester is American. Jewish is a group identity. There is no such thing as an individual Jew. No man is an island and certainly no Jew is. Someone who is not part of the Jewish people is not a Jew. The term self-hating Jew is also self-nullifying. 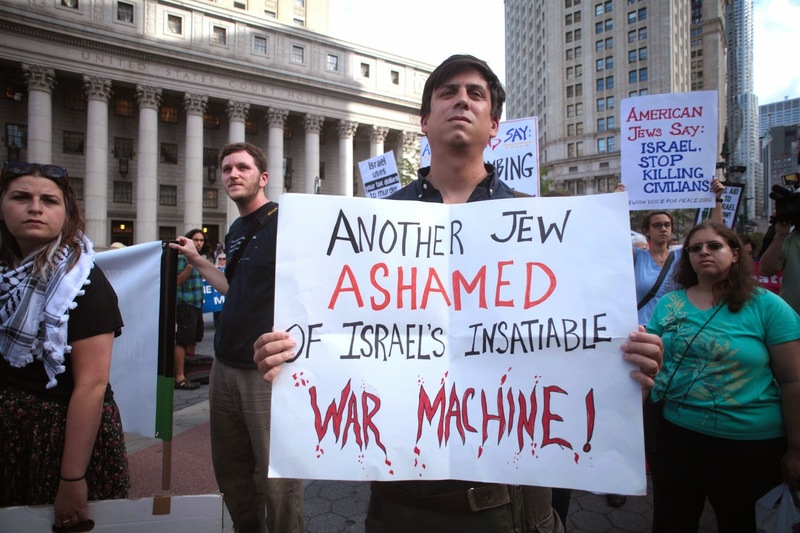 Self-hating Jews rarely hate themselves, though sometimes the neurotic stereotypes hold true. And someone who hates Jews is not a Jew. Modernism has confused many of these issues. Pundits scratch their heads wondering whether the Jews are a religion, an ethnic group or a nation... when they have always been all three. Likewise the left has defined bigotry exclusively in terms of an oppressor-oppressed relationship. And while bigotry can relate to the attitude of an oppressor toward the oppressed, it is not limited to that. It is possible for bigotry to exist without power relationships and even within a particular group. The anti-Semitic Jew is as real a manifestation as white liberals who emphasize their disdain for white people or the middle class black man who sneers at most of his own race as 'ghetto'. Jewish anti-Semites hate Jews for most of the same reasons that his fellow non-Jewish anti-Semites do. He may focus in on certain perceived Jewish traits that he despises, he may feel injured in some way by Jews as a group, but these and other examples are instances of viewing Jews as an "Other". By viewing Jews as an "Other", the Jewish anti-Semite concedes that he is no longer a Jew, no matter how much Brooklyn there is in his voice or how many Jewish authors line his bookshelf. The most common anti-Semitism is the explicit perception of Jews as an "Other" who are seperatists and disrupt the larger society by clannishly holding themselves apart from it for their own agenda. The left's expressions of anti-Semitism and anti-Zionism have always consisted of this same critique. And the most common Jewish anti-Semites today are those of the left. The Jews who publicly beat their breasts in the pages of the New York Times or on Twitter about how "conflicted" they feel because of what Israel is doing in Gaza are torn between two identities. One is a subordinate Jewish identity and the other is the dominant identity of the left. The left views Jews and the Jewish State as an "Other" and they see the scraps of their Jewish identity as an "Other". A cruel murderous Nazi-like "Other" who senselessly kills children out of fanatical nationalism. Full-blown Jewish anti-Semites are not conflicted. They simply view Jews as a group as an "Other". They are not Jews. No more than Chester is an American. They simply have some of the cultural markers. Out of the postmodern confusion of the multicultural society arose the old anti-Semitic perception, now embraced by Jewish secularists, that a Jew was an individual with a series of common traits. The stereotypes that these Jews clung to (humor, neurosis, Chinese food on Christmas) were not the same ones as the general perception (good with numbers, nerdy, greedy) but they amounted to the same thing. Jewish identity was reduced to a set of behaviors associated with a particular time and place in American Jewish life. Jewish comedians and writers turned the stereotypes into cultural markers. The stereotypes had nothing to do with Jewish identity. A quick look at Yemenite Jews would confirm that. They were markers associated with some urban centers in some parts of the United States around the early and middle parts of the 20th century. Most of them are vanishing now. They were never anything more than cultural immune system reactions, neurotic multicultural rashes. 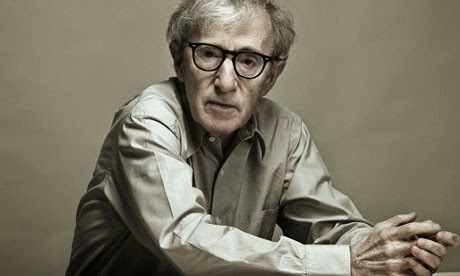 This confusion of stereotypical traits with identity is what leads some to identify Woody Allen as a quintessential Jew when he has no Jewish identity and is not Jewish in any sense that matters. Confusing a display of stereotypes with identity would make Al Jolson black and Mickey Rooney Asian. The question of "Who is a Jew" has endlessly and needlessly complicated. When the question is broken down into modern categories like race and religion and then run through the filter of individually constructed identities and assorted stereotypes, it becomes endlessly confusing. Jews are a family united by a common religion and originating from a single land. They have been described as a religious civilization. Considering the Bible as the oldest history of the Jewish people and the Jewish role in the world's religions, that seems like an apt description. Like any family, it is possible to marry into it. It is not however possible to leave it and remain a Jew. The most significant part of Jewish identity is not who your parents were, but who your children will be. It is possible to be a Jew if your parents were not Jewish. It is not however possible to pull a Chester, to stomp around the beaches of France insisting that you're an American. If Chester marries in France, his children and grandchildren will be French. Chester's American identity ends with him. There are real examples of that, such as the Confederados of Brazil who still have the gray uniforms and bits and pieces of Southern history, but whose children don't speak English and haven't been to the United States. America is a distant cultural legacy to them, but they are now Brazilians. Being Jewish is not an accident. It's not a collection of Woody Allen movies or any other meaningfully meaningless cultural signifiers from 20th century New York. It's Jewish children who raise other Jewish children who will go on to do the same thing. The Jews of the present day are only a cross-section of the Jewish People in its entirety, comprising the past, present and future. It is possible to enter that cross-section in the past and the present. But once you step out of that cross-section in the present, you are out of that civilization for good. The so-called "Self-Hating Jew" has stepped out of Jewish history. He remains behind only as an antagonist in the dim recollections of the descendants of the people he has tried to destroy. He may protest that his hatred is founded on some pure source of what Jewish ethics ought to be, but it is not possible for an individual to define Jewishness on his own terms in a way that will last across time. It takes a great deal to maintain a civilization across thousands of years. Whatever else the civilization does, it must perpetuate itself to exist. If it cannot pass down its values to its children in a way that will be perpetuated countless centuries from now, it will cease to exist. Civilizations are the trains that ride the tracks of time. You are either on the train or you aren't. Either you maintain the train or it breaks down and your civilization ends. If your civilization is mobile and flexible, then when the train is destroyed you learn to ride a bike. When the bike breaks, you run for a while and hitch a ride. When the tide floods the tracks, you build a boat. When the water dries, you slowly and patiently build another train. That's what the Jews have been doing for a long time. Adaptability can be dangerous. Those whose minds are too open, lose them. The same biological flexibility that provides vitality also leads to mutations and cancers. Being able to adapt to catastrophic changes makes it more likely that the group will survive, but that you will also lose a lot of individuals along the way. That is what happened to the Jewish People in the last century. In this century the effects of those crises will be resolved in one way or another. The dead ends will die off. They will leave behind few Jewish children and fewer Jewish grandchildren. It will take some time, but the demographic impact can already be seen in New York. It will be seen elsewhere too. knows it and like the dinosaurs, he will do as much damage as he can on the way out. His organizations will wreak havoc. They will work to destroy the Jewish State and wage war on traditionalist Jews. That is what has been happening in this generation. Like the Jewish Communist, he has no future. He has a past. But to have a past and no future is to be irrelevant. The Jewish Communists of Russia came from Jewish homes and went to cold graves. Their Western counterparts will fill out cemeteries leaving behind multicultural descendants. Their numbers, for now, appear intimidating, but looking at the cross-section of the Jewish People, they are already gone. It's easy enough to see that in the demographic picture of the next generation. The self-hating Jew is not a Jew. He is not part of the Jewish civilization moving through time. He may have a Jewish past, but he has no Jewish future. His malice causes damage in the present, but it is the frustrated act of a mortal man who knows that he has no future, that he will leave behind no legacy that a century of time will not wash away as thoroughly as the debris in the gutter. There are no self-hating Jews. There are Jews who hate the Jewish People. Their hatred excludes them from the thing that they hate. By Othering Jews, they only Other themselves. Their books, their petitions, their jokes and their protests, their boat trips to Gaza and their letters from 199 Rabbis Against the Occupation and all the other symptoms of their hatred exist in the present, but not the past or the future. In the totality of Jewish civilization across time, they are already gone. The worst of all self-hating Jews are the holocaust survivor type, who use the latter to emphasize their objectivity in denouncing Israel. I had never connected the dots in this way. It had always bothered me that these self haters (I'll no longer call them Jews), are still considered Jew. Unfortunately, Jew is still, and I suspect always will be, a pejorative. Hence Marx and Soros are listed as Jews far too often. I rarely respond to you. I ALWAYS read you. Thankyou. The Haggadah recognized this phenomenon exactly in the form of the "Wicked Son". He asks a hostile question seemingly from within Judaism but by his worlds one sees that he excludes himself and the text makes it clear he is not part of the Jewish people any longer, noting, had he been in Egypt, he would not have been rescued (not continued on as part of the Jewish people). Some things never change and apparently this phenomenon is one of them. Clear, simple, pertinent, timely, true. This is good. I have Only read it twice. I will comment in it when I've read it a few more times. It needs to be read, retread, and pondered. I always thought the hostility toward jews was for the reasons you stated. But also an unconscious hostility toward god. I am a Christian. Not a jew. But when people understand that I keep the Ten Commandments, it makes them uncomfortable. My religion teaches me that the natural mind is intrinsically hostile toward god. I feel that the jews represent the law of god, and that people hate them not only because they are other, but because they hate god himself. In the book of job, job goes through many trials and tribulations. Much commentary is expended on the idea that job was being punished for his sins. And yet god himself says he is a perfect man twice. But behind all, we see the hand of satan moving against job. I feel that people allow satan to fill their hearts against the jews. If you come to my town, Greenville South Carolina, the home of literally thousands of churches, sometimes as many as 5 large churches even on small streets in a neighborhood, you will see signs on the churches saying, "we support israel." The more godless the society, the more they hate jews. The more godless the jew, the more he hates jews. I had an Hassidic Rabbi who only used self-hating Jew when describing Jews in a specific situation. It was when Jews were being persecuted under the Tsars and Stalin. They were beaten and had to inform. In their case they were part of the community. They stayed in the community. Lived as Jews but had to see the world in terms of their persecutors. In time they were self hating. They were heavily conflicted and guilt ridden. They were an object of pity more than anything else. Very few of us could pass such a test. Very few of us could take a real Russian secret police beating and come out whole. The modern self hater just worries how he will be perceived by an academic. Hardly a state of conflict. I hadn't understood that NYC isn't as Jewish as it used to be. This is very sad news. Winston churchill was asked if he was a pillar of the church. He stated he was more like a buttress, he supported it from the outside. I feel like the Christians in this area are more pro jewish than most jews are. We don't understand the moral ambivalence of some jews. The issues are clear to us. I understand jew is used as a pejorative. But maybe Daniel is saying that is a temporary phenomenon. Any name of a group can be used as pejorative if that group is seen negatively. There are more traditionalist Jews in New York and fewer liberal ones. "74 percent of all Jewish children in the city are Orthodox, a baby boom that will completely transform the city’s Jewish population. 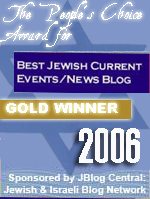 And that means the transformation of the Jewish vote." Thank you for clearing that up for me about the shifting demographic in NYC, that it is toward the orthodox. That is good news. We all need to be more orthodox when it comes to our relationship with G-d, no matter what religion or spiritual road we are traveling on. Now that I am older, I see that there is a reason for all of those 10 Commandments. "Judaism is a distinctive blending of spirituality and a liberatory political vision. But when Judaism abandoned its liberatory message, the Judaism that survived was unable to command the respect and adherence of many Jews." This seems to be the rationalization for their approach to Judaism in which they cherry pick from the Jewish menu of mitzvoth and practices, toss in a few eastern hippie faves, such as meditation, visualization, 'kabbalah for dummies', all while going 'full tilt boogie' on 'social justice', environmentalism, pro-abortion, and every other PC far left doctrine, all under cover of beards, tallitot, Rabbinettes (female Rabbis), and lots of high minded verbosity. They consider themselves a movement, but seem more of a cult to me, a 'splinter group', neither central to traditional Judaism, and only serving as 'useful idiots' to the largely anti-Israel, anti-Semitic (true) far left. What's your take on these folks? Do they have relevance and staying power? I've heard that term, "self-hating Jew," before, and it didn't really make sense to me, but what you've said makes much more sense. Dennis Prager said something similar, saying that liberal Jews are liberal first, with their Jewish identity being secondary, which explains the Jews who protest Israel when Israel isn't doing anything wrong. Ivan Toney, I agree with what you said -- I do believe much anti-Semitism has a spiritual root in hatred of God, It's not coincidental when we see a rise in evil (like Nazism, Communism, and militant Islam) we see a rise in anti-Semitism and persecution of Jews and Christians. Excellent writing and you are giving me hope. Thank you daniel. Also love jake's comment referencing the haggadah. It rings true. Lerner is a Community Organizer and this is the same fraudulent Trojan Horse strategy of Tikkun Olam. Tikkun Olam is the Jewish equivalent of Liberation Theology. It replaces Judaism as a religion with left-wing politics while calling them Prophetic Ethics or some similar fake Jewish label. 1. If Judaism contradicts their left-wing politics, they discard it. This shows that Judaism isn't in the driver's seat. Their left-wing politics are. 2. They ignore everything the Prophets said that they can't spin as social justice, which is 99 percent of what they said. This is what the left does and it's toxic. They're now infiltrating the Orthodox community via Yeshivat Chovevei Torah and Uri L'Tzedek. Excellent , very well said. There is also a pattern to their "coming out" They were once Zionists, and had a blue pushka at home, but suddenly discovered that they are WAY more moral than all other Jews. They proclaim themselves "Progressives" meaning of course, that all the rest of us are war-mongering Neanderthals. They bleat about their Jewish Values, although the only Jewish in them is that they can spell bagel. They seem to think that the Anti-Semites and Jihadists beheaders actually differentiate between Jews and that they would be exempt since they are the "good Jews"
This argument about who is a Jew is silly. A white-hating white is still white, amirite? Since "white" is a category based on skin color rather than culture, religion or anything more than that, it takes a lot to drop out. But long term, some white liberals obsessed with destroying 'whiteness' are going that route. I have observed among assimilated, leftist Jews -- and among non-Jews of Paternal Jewish ancestry -- a belief that it is somehow trendy or chic to be Jewish. So they wear their Jewishness quite proudly while having not the slightest idea of what Judaism means. To me, being Jewish means being either a halachic convert or the child of a Jewish mother, AND obeying G0d's commandments as set out in the Torah and Rabbinic tradition, or at least doing one's best to. Anything else is, as you say, going nowhere. We called them "self loathing Jews" because we couldn't think of another name to call them. My grandmother was one, so were my parents. My grandfather was staunchest in his religious observance and his attitude that since God made him a Jew he would be a Jew. Perhaps we should blame it all on Napoleon who liberated Jews from the Ghetto and promoted their integration as citizens. The response was Reform Judaism which cherry picked from the rabbinical tradition to create a religion stripped of Jewish nationalism (and many jewish laws) and emphasized the universalist message of the prophets. This was sold as a reform that could be compatible with citizenship. Now Jews could be just like their neighbors except they went to Temple on Saturdays instead of church on Sundays. But this 'solution' sowed the seeds of the current problem. Judaism historically has always been more than just a religion. Jews are a people with an ancestral home, common genetic heritage, common language, common history, tradition and, yes, religion. Zionism is simply the expression of that national movement. But Reform and progressives were often uncomfortable with the Zionists since the perception of Jews as a people conflicted with Judaism purely as a religion. This incompatibility could be tolerated when it was the Arab - Israeli conflict since Jews were vastly outnumbered and outgunned. But after Israel neutralized its neighbouring Arab states through war and the conflict morphed to Israelis and Palestinians, Israel could no longer be considered the underdog. Progressives had a hard time reconciling an aggressive, assertive Jewish state with their universalist prophetic message. We are now in a situation where these conflicting views of what Judaism is are exposed around the subject of Israel. Thus you get the bizarre phenomenon of progressives who claim they are Jewish, protesting the Jewish state and siding with Hamas. I cannot predict how it will play out. Perhaps the demographic realities will ensure that the progressive reform movement will simply die out. Alternatively, it is possible that the Reform movement will move closer to the peoplehood concept of Jews. I think this is already happening in many places. I can say however that the anti-Israel progressives are not a dominant voice, although they get a lot of airtime and make a lot of noise. It says "if you faint in the day of adversity, your strength is small." The problem is that character is not valued in this moden day Weimar Republic, so the least discomfiture or social approbation is enough for most people to abandon their god, their family, the nation, their family, everything. It's as if being cool or acceptable was an idol of the heart. I cannot agree with you more. Hardly a state of conflict. Exactly re: "tikkun olam" . Good post. Daniel, would you agree that the increasing strength of Orthodoxy is what is attracting the Leftists to it? 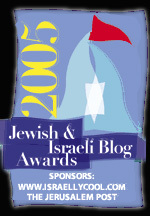 They need a way to be important and the Liberal Jewish groups are in decline. I would also say that YU, which always flirted with Progressive politics, has gone full bore to the Left. Once Landers broke off YU became, at best Moderdox. More as a fig leaf so Jews could figuratively eat pork with a hecher than a actual Yeshiva. We’ve got evangelical Christians like that, too. Small loss if any of them want to leave, because they were never really there to begin with. If more Jews had drawn the line at importing Muslim ‘day-workers’ 70 years ago, you wouldn’t have Hamas now. If more Christians had gotten their lazy butts out and voted two years ago, none of us would have Obama. Next time we start a ‘people group,’ let’s remember to trademark the name so no more watered-down imposters can move in, take over, and make up their own rules. Is it correct that liberal Jews are the most enthusiastic aborters? Your analysis is interesting, but flawed in several particulars. While the secular 'Jew' or secular 'Christian' may be viewed as a demographic dead end, the story does not stop there. By the use of the power of the State and the media, these same individuals parasitize people of faith to sustain themselves. To prevent an immune response from their host, they use the mass media to anesthetize the society as a whole. Rational thinking is demonized and conditioned responses are di regeuer. So much of this discussion can be summed up in the phrase JINO. Jews in name only. As Daniel points out self hating Jews don't hate themselves. They hate the Jews. I think that the classic case of what we might call a "self hating-Jew" is someone who somewhere deep down inside knows that he can never dissociate himself with being Jewish and it is that very connection that he resents. Is that right, Daniel? According to halacha, once a Jew, always a Jew. I have long writtena and said that front groups like Jewish Voice for Peace are no longer Jews but Marxists who use thier Judaism to promote recolution ergo Arab goals. I tell people during my lectures there are no "self-hating Jews"; to the contrary, these people are narcissists who revel in being anti-authroitarian and different. They only will call themseles Jew if it serves their goal o suggesting Jews should not support Israel. They are "revolutionaries" and cutting edge thinkers in their own eyes. Anonymous, that is sometimes the case. Sometimes he resents aspects of himself that he considers "Jewish". Much as the Nazis saw the conscience as a Jewish element. Jerry, JINO does sum it up. I think the left is now targeting evangelicals and Orthodox Jews for demographic reasons. I'm seeing some troubling stuff in the frum community. Thank you Daniel. Your observation that self-hating jews do not hate themselves is worth the read. This statement I disagree with. "Jewish is a group identity. There is no such thing as an individual Jew. No man is an island and certainly no Jew is. Someone who is not part of the Jewish people is not a Jew." Yes, being Jewish might be a "group identity." But Jews are individuals first, Jewish second. You, Daniel, I will always perceive as an individual, and an exceptionally smart and productive one. You are indeed an island (and an island of sanity, as well). People can choose to be part of a "group," but they're still individuals making individual choices. You have no collective identity in my mind, because groups or collectives don't think. One can choose to join a mob or a group or a political party or a fraternity and the like, but this is making an individual choice. No one is drawn inexorably or helplessly into an imaginary gestalt, however benign or malevolent it might be. If Israel is the only civilized nation in the Mideast, that is a result of individuals excelling in their chosen professions. You, Daniel, excel in yours. I don't even think of you as "Jewish," but as a smart guy with a touch of H.L. Mencken and Mark Twain. Don't argue with me. You know I'm an Israel supporting atheist. The common religion that unites us teaches that the self-hating Jew is still a Jew, because he has a holy Jewish neshama (soul). This neshama may be sparked and brought back. True he may not have a Jewish future, but he is still a Jew. Where does the atheist zionist jew fall?